Speed rating faster than 6. High Speed Turn rating lower than -2 (i.e. -3, -4, -5). Fade Rating larger than 2 (i.e. 3, 4, 5). Discs with little to none High Speed Turn rating (i.e. -1, 0) and with high Fade rating (i.e. 3, 4, 5) are harder to throw, but will be much more resitant to wind effect (Overstable Discs). Discs with Turn rating and Fade rating that are close/equal to 0 when added together, will have a straight line end resault when thrown flat at the correct speed (Stable-Straight Discs). Discs with small High Speed Turn rating (i.e. 0, -1) and with high Fade rating (i.e. 3, 4, 5) will be a great choice for Sidearm shots (Overstable Discs). A disc with large High Speed Turn rating (i.e. -3, -4, -5) and little to none Fade rating will be a great choice for turnover and roller shots (Understable Discs). A heavier version of any given disc will tend to be slightly more overstable than a lighter version of the same disc. On many occasions manufacturers will produce the same disc mold in a variety of plastic blends. 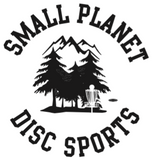 Different plastic blends will affect the overall stability of the same disc mold. There will be minor differences in flight numbers ratings within the same mold, when made from different plastics blends. In addition, the more durable plastic blends will retain flight numbers ratings for a longer period of time. For full information on all the different plastic blends, please refer to each manufacturer plastic types information page.